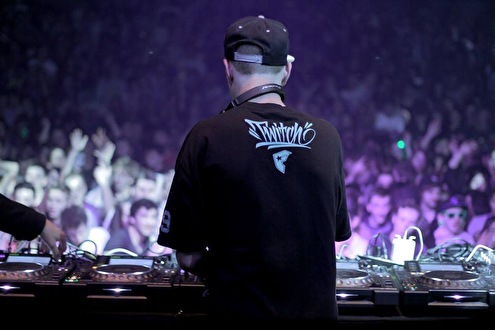 Probably the artist that has single-handedly pioneered the filthy dubstep sound in Belgium, and has been picked up by all of the major players, is Point.Blank. Initially made up of two people, now there ís only Matar at the controls, and he has turned the Point.Blank sound into an instantly recognisable dancefloor-minded attack, aimed squarely at your feet! When one thinks about the name "Point.Blank", the immediate imagery that comes to mind is that of discharging a fire-arm directly into the body of an attacker. Fired at point-blank range, any weapon is exponentially more deadly, and tremendously more explosive and all-around destructive. This is exactly the concept that the listener should keep in mind when listening to Point.Blank's music.